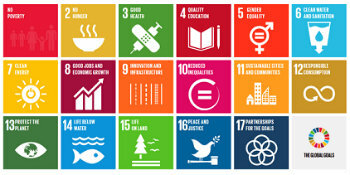 After nearly three years of open global consultations, the proposed sustainable development goals (SDGs) were adopted by UN member states at a special summit convened at the UN headquarters in New York from 25 to 27 September during the annual meeting of the annual United Nations General Assembly (UNGA). The SDGs will replace the millennium development goals as the new goals to be accomplished by 2030. It was a global affair attended by heads of state, Nobel Prize winners, Pope Francis, and representatives from the G8 and the Brics to international organisations, small island states and the least-developed countries. Hivos was also present with a delegation of experts from some of our cutting-edge programmes: Making All Voices Count, Women on the Frontline, Digital Defenders Partnership and Shelter Me. Hivos believes that the much needed progress on poverty elimination and sustainable development requires goals, prerequisites and indicators that enable the role of citizens, particularly women, and civil society to claim and shape the transformation that they aspire. Amplifying the voice of minorities and empowering individuals to speak gives them the opportunity to address democratic deficits and injustices from the bottom up. The SDGs are therefore important to Hivos because they put increased focus on our own focal areas of transparency and accountability, rights-based development, civil society, sustainability, gender and SRHR, and partnership building. We also believe we can positively impact the SDG process by providing best practices that can be used to define SDG indicators that are realistic and feasible. Hivos sees the SDGs as global goals that give responsibility, for example, to both the Dutch government and the Ugandan one. We believe that the structural global changes needed to fight global inequality also include policy changes in ‘richer countries’, especially regarding taxation, trade and climate change. Finally, the SDGs should enable citizens of each country to start conversations with their governments on the issues that they care about. We take it upon ourself to use the new global goals to continue to push for change on crucial issues, which is why we have joined the discussion on the SDGs though our international networks and partners to keep looking for coalitions to strengthen our work on the focal areas mentioned above.